Merle Travis with his custom name-plated guitar. It’s unlikely you’ll find any rip-roaring country instrumentals making waves in these modern times. But in the 1950s and ’60s, fast-picking country guitar players were all over television and influenced guitarists of all genres. Though rooted in blues, jazz, and swing, country guitar is mysteriously singular in many of its techniques and approaches. It’s difficult to perfect even if you’re well-versed in its parent genres. Great country guitar playing can be both sensually slow and explosively fast at times. It incorporates a blistering tightness between other instruments like violin, lap steel, or a second guitar, as well as the standard bass and drums. The nine players listed below, in no particular order, all paired a high level of personal style with well-honed skill to advance the guitar’s language in the process. Jimmy Bryant was one of the first players that Leo Fender trusted with early Fender Broadcaster prototypes. Bryant played in many sessions and formed a deep association with pedal steel guitarist Speedy West. Their influential records together exemplify some of the best in country guitar shredding. Leon Rhodes is probably best known as the lead guitarist for Ernest Tubb’s Texas Troubadours. He combined his own pristine, rapid style with a very smooth touch and a tone that feels more jazzy than twangy. He occasionally spiced up his tunes with odd harmonies that stretched beyond the standard tonality of country music. Watch below as he performs the Troubadours’ 1964 hit “Rhodes-Bud Boogie” on The Ernest Tubb Show. + Learn more on Soundfly: Guitarists, if you’re stuck in a rut, try opening up the creativity of your playing using alternate tunings. Learn about some of our favorites in our popular free online course series, Alternate Tunings for the Creative Guitarist. A kind of jack-of-all-trades showman, Roy Clark was the host of the variety show Hee Haw, filled in for Johnny Carson on The Tonight Show, had a string of vocal hits, and was a serious, deep-country shredder. He was also a pretty ripping banjo player. His rich instrumental language on the guitar references country and rock ‘n’ roll. He also uses a wide range of tricks and extended gestures to expand his country guitar sound. Check out this clip of “12th Street Rag” from 1963 to see how Clark manages to crack up the audience as their jaws drop. Garland’s career ended abruptly following a near-fatal car accident when he was only 31 years old. His life is the subject of the 2007 film Crazy. Hear him play his biggest and most beloved song below. Luther Perkins backed Johnny Cash in the Tennessee Three. Perkins wasn’t a technical guitarist, but his sparse personal style and raw tone are iconic and unique. His rhythm playing is probably more important than his soloing, generally, but his simple solos on songs like “Folsom Prison Blues” are unforgettable and have turned songs into classics. 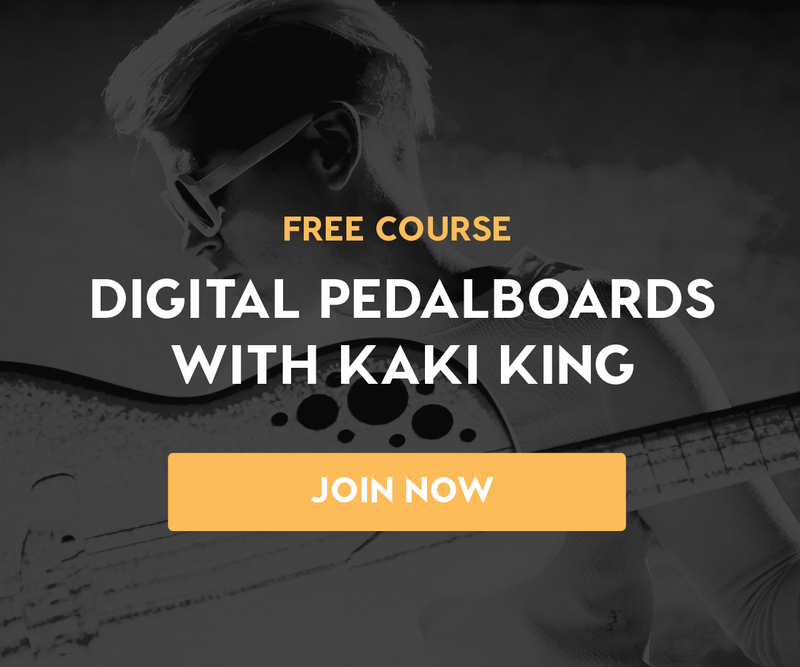 + Learn more on Soundfly: We were lucky enough to be able to make a free course with one of today’s rippin’ guitarists, Kaki King, on how and why she uses a digital pedalboard in replacement of her analog board on the world tour circuit! Chet Atkins’ was known by the nicknames “Mr. Guitar” and “Country Gentleman.” (The latter was even bestowed upon his signature model Gretsch guitar.) His cool, mellow tone complemented his intricate, fingerstyle instrumental arrangements and tricky licks. Here he is playing his first hit, an instrumental version of “Mr. Sandman,” in 1954. Check out the way he pulls together his chord voicings with the melody floating along on top, accompanies himself with a bass pattern, and has room for some lead licks in between. 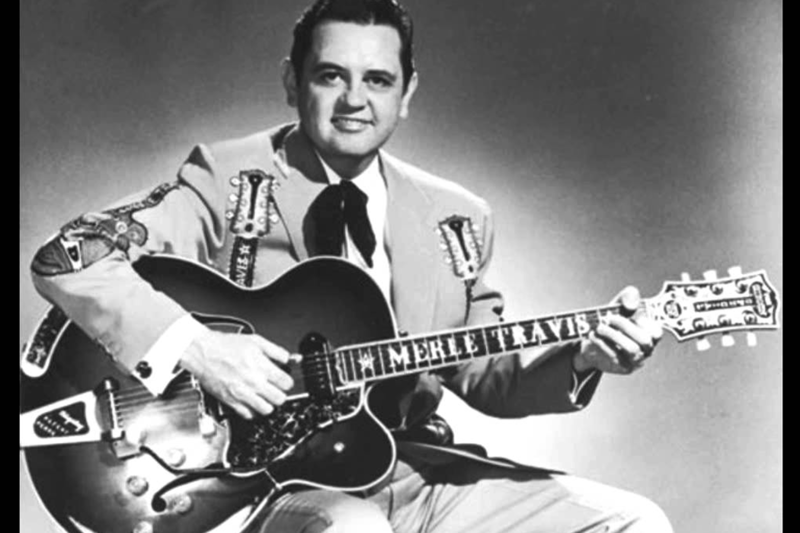 Merle Travis was a prolific songwriter and singer, composing many essential country standards. His most influential musical contribution, however, was popularizing his signature “Travis picking.” If you’re a finger-picker, you’ve probably already encountered it, even if you didn’t know it by name. Here’s Travis flying through “Cannonball Rag” (1968). Watch his right hand to catch his picking style. “King of the Strings” Joe Maphis was known for his flashy style of fast picking. He was also pretty darn recognizable with his double-neck guitar — well before Jimmy Page popularized the model. Unlike Page’s guitar, though, Maphis played a Mosrite with the bottom neck tuned standard and a shorter scale neck on top tuned an octave up. Here he is playing the self-explanatory piece “Flying Fingers” from 1957. Check out the way she plays the traditional melody of “Wildwood Flower” in the bass with her thumb, as she continues to strum along in this video from 1961. Did we miss your favorite classic country guitarist? Share their music in the comments below! Looking for more? Discover the history, legacy, and musical forms of the blues, as well as how it helped to shape jazz and pop music to come in our free course, A Conversation with the Blues.